Kate is determined to win the Mapletree horse show, until a mysterious horse arrives at the stables. Unluckily for Kate, his owner Izzy has entered Mapletree too – and Izzy needs to win. 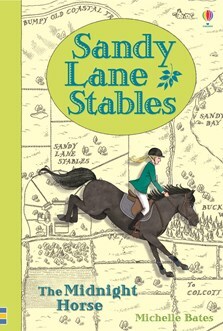 This exciting tale from the Usborne Young Reading series is part of a collectible series of equestrian stories that are ideal for newly independent readers. Full of authentic details about horse and pony life.